The Randolph Varsity Boys set another School Tournament Record score while playing in wicked wet and raining conditions. The Randolph Varsity Blue Team score of 324 is 5 strokes lower than last week’s score of 329 in playing conditions that could only be characterized as really wet with on and off rain all day. 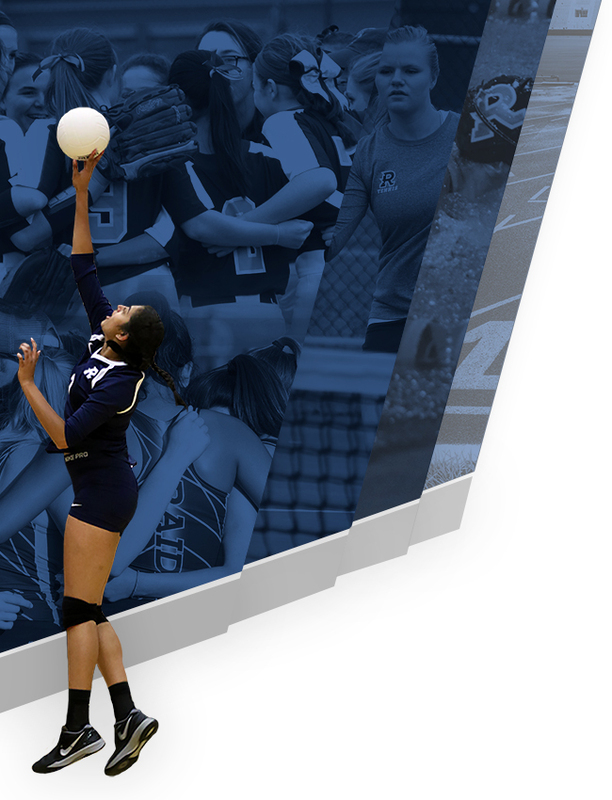 The continued hot play allowed the Blue Team to 3rd Place out of 10 High School Teams. The Blue team was once again led by Freshman Charles Warren who shot a 2 over par 74. And finished in 6th place individually. Sophomore Chris Kobriger shot 82, Sophomore Evan Devine 83, Senior Chris Wiginton 85 and Junior Bryce Johnson’s 90 were the rest of the Blue Team score The Blue Team continues to set a record scoring pace as we head into the middle part of the golf season. The Randolph Silver Team shot its season low Tournament Score of 357 to finish in a tie for 5th place. The score of 357 would have been last year’s A-Team Low Regular Season Tournament Total. Senior Fletcher Wilson shot a season low 83 to go with Senior Blake Mitchell’s season low of 86, 8th Grader Luke Lunsford 92, 7th Grader Drew Dodgen 96 and 8th Grader Evan Brown 110 were the other Silver Teams scores. 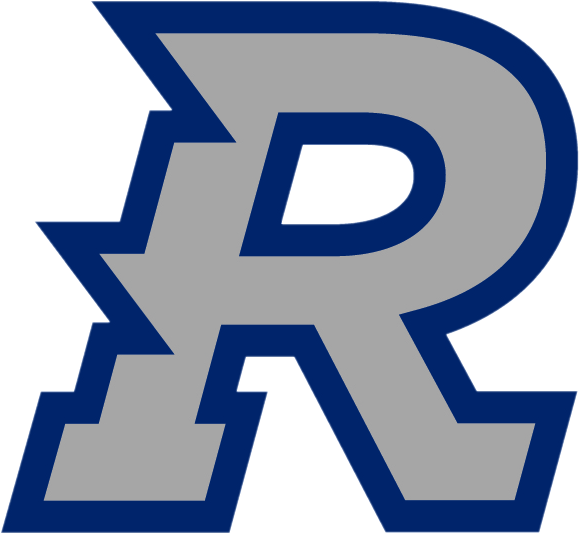 Randolph Boys Head Golf Coach Pat Lewallen said “I couldn’t be more pleased with this Total Randolph team performance, especially in horrible playing conditions. 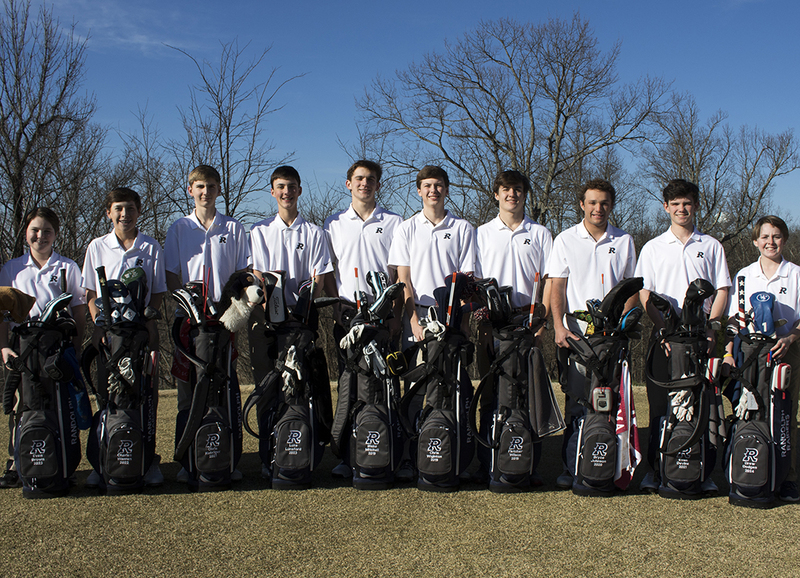 The Blue Team continues to set school records and the Silver Team improved by 53 strokes from last week’s RTJ Tournament”. 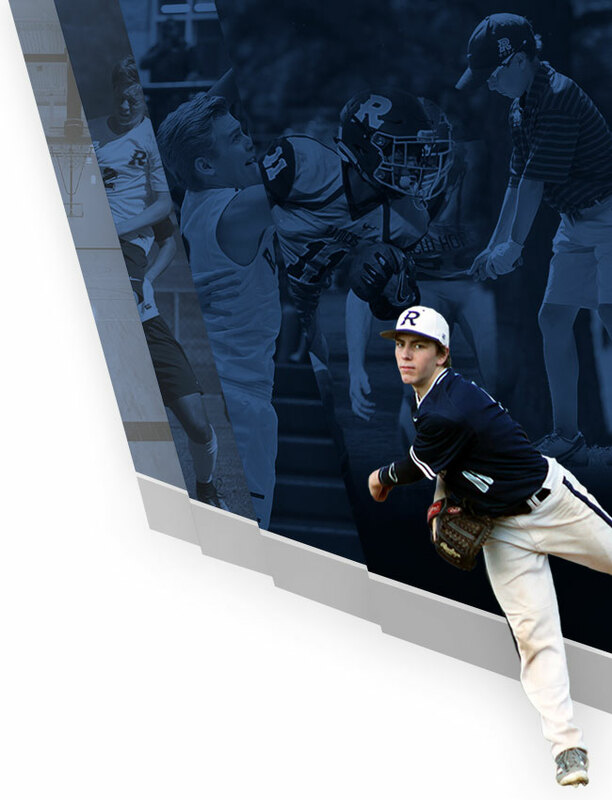 The Boys next action is scheduled to be a Match against Westminster Christian to be played Thursday, April 11th at Valley Hill Country Club. The Match is set to start at 3:30pm. 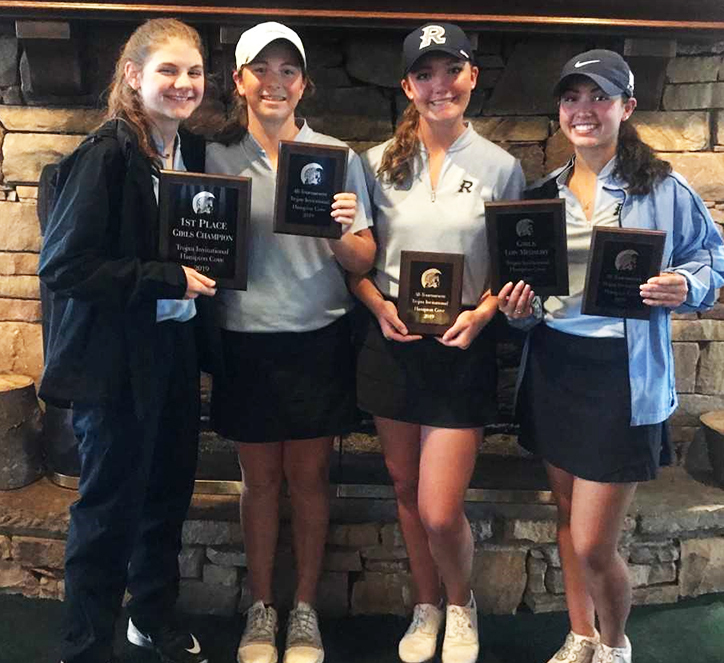 The Randolph Varsity Girls Golf Team won the 2019 Hazel Green Invitational Tournament by shooting a Historically Low Tournament Score of 221 to beat its previous record of 237 by an amazing 16 strokes. The Randolph Varsity Girls Golf team beat 2nd place Huntsville’s score of 244 by 23 strokes. A total of 12 Girls High School Teams competed in the event on the RTJ Hampton Cove Highlands Course. Randolph was led by Junior Michaela Morard who had 5 birdies and a bogey and finished at 4 under 68 to claim the Girl’s Low Medalist Honors and led the All-Tournament Team. 8th Grader Elle Webber shot her 1st tournament score in the 70’s by shooting a very consistent 39-37=76, Freshman Bella Duesing also shot her 1st tournament score in the 70’s by shooting 42-35=77. Elle’s score of 76 placed her 2nd individually and Bella’s score of 77 placed her 4th. Both Elle and Bella were named to the Girls All-Tournament Team. Freshman Emma Benton continues to improve by shooting a 103 which is almost 10 strokes better than last week. Randolph Girls Head Golf Coach Michael Morard said, “All 4 girls showed me today that they have the guts to play really good golf in some wicked nasty weather. To break the Schools Tournament Record Low Score in today’s conditions shows me that all of the hard work we have been doing for the past 3 month and they have been doing for the past year are beginning to pay off” The total Tournament score of 221 is 16 strokes lower than last year’s 1st Round of the State Tournament and this years Huntsville Invitational score. The Girls next action is scheduled to be a Match against Westminster Christian to be played Thursday, April 11th at Valley Hill Country Club. The Match is set to start at 3:30pm.